Newcastle moved seven points clear of the drop zone as they comfortably beat a toothless Burnley side. A wonder strike from Fabian Schar and a first Premier League goal from Sean Longstaff gave Newcastle United a deserved win over their relegation rivals. Schar opened the scoring with a thunderbolt of a strike from near 30-yards out which fired in off Tom Heaton's near post. The Magpies doubled their lead through academy graduate Longstaff as he smashed home at the back post unmarked. Newcastle started the better side as they caught Burnley out with a short corner which deflected off Schar and forced Heaton into a smart save. The opening goal of the game was a strike nobody will forget as Schar ran with the ball unopposed before firing a shot past a helpless Heaton. Schar hit the ball from nearly 30-yards and cannoned in off the near post leaving everyone in the stadium amazed. Longstaff picked up the ball from Matt Ritchie's cross with no Burnley player near him and coolly slotted home to get his first goal in the Premier League. Chris Wood attempted an acrobatic strike minutes later, but Martin Dubravka was equal to the strike pushing it away from goal. James Tarkowski squandered a great opportunity to half the deficit on half time but could only fire over from less than five-yards out unmarked. In added time Isaac Hayden whipped in a teasing ball for Salomon Rondon to get on the end of but he could only aim his header wide of the Burnley goal. Miguel Almiron sprinted through on goal but Heaton stood tall and forced the Paraguayan to shoot from a very tight angle that went out for a corner. It was a rather lacklustre start to the second half with neither side testing either 'keeper as the Magpies were happy to control the game. The loudest noise of the second half came in the 79th minute when Newcastle's record signing, Almiron made way for Paul Dummett. 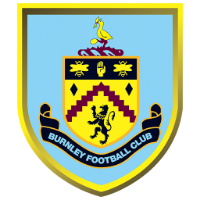 A goalmouth scramble caused by Peter Crouch required Dubravka to push the ball away from a crowd of Burnley players and somehow the Clarets did not get a shot away. The academy graduate put in yet another superb performance for the Magpies which had pundits raving about the youngsters potential. Longstaff is heavily linked with getting a call up to England under 21s in the upcoming friendlies, however, the England first team may not be too far away for the youngster. The midfielder has been likened to Michael Carrick, (who is also from Newcastle) which is glowing praise for someone who has only played a handful of games in the Premier League. It is back-to-back clean sheets now for Rafa Benitz's side as well as winning two games in a row after their warm-weather training camp. The Magpies' defence rarely looked flustered during the game which shows why they have conceded the fifth least amount of goals in the Premier League this season. A lot of Newcastle players were superb against Burnley including Hayden and Schar who did not put a foot wrong all game. However, once again it was Longstaff who stole the show with a goal and a perfect display of how to control the midfield. The midfielder plays like he has been in the Premier League for years, when in reality his debut was only Boxing Day against Liverpool, because of the number of injuries to Newcastle. Longstaff sprayed the ball across the pitch all game as well as getting the winning goal for his boyhood club.